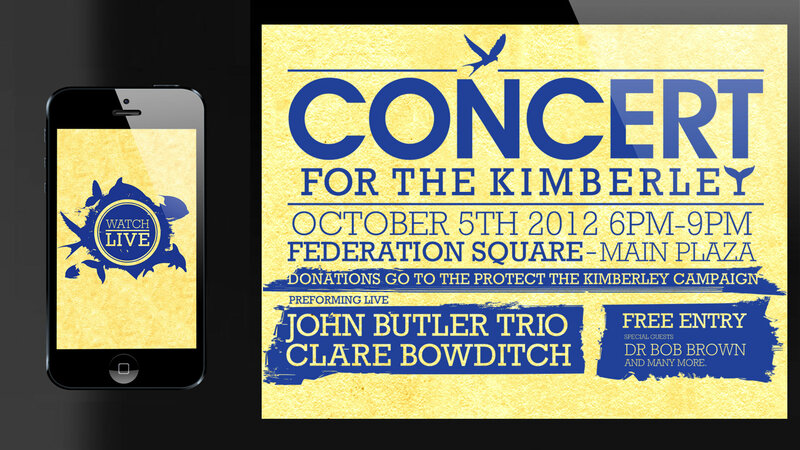 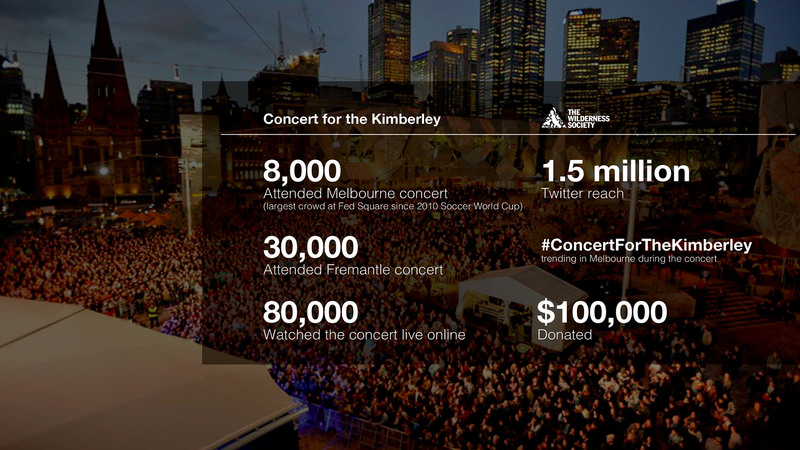 The Concert for the Kimberley was produced by John Butler and The Wilderness Society brought together more than 6,000 in Melbourne and thousands more via live screening. 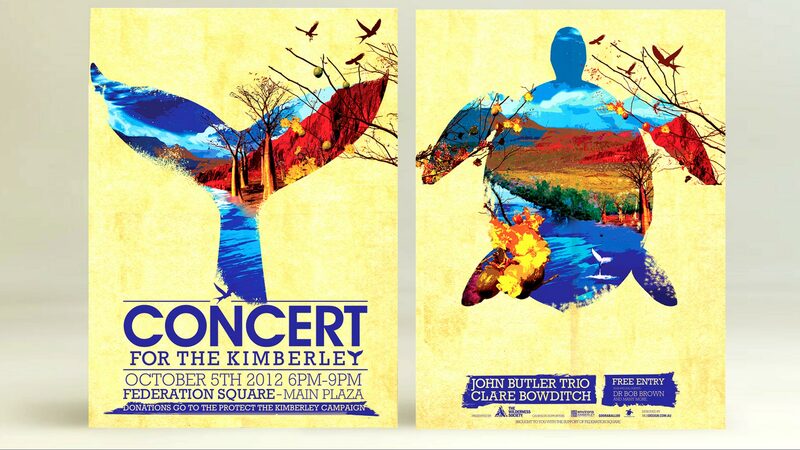 We were tasked to design an identity for the concert that represented the beauty of the Kimberley and the wildlife that live there. 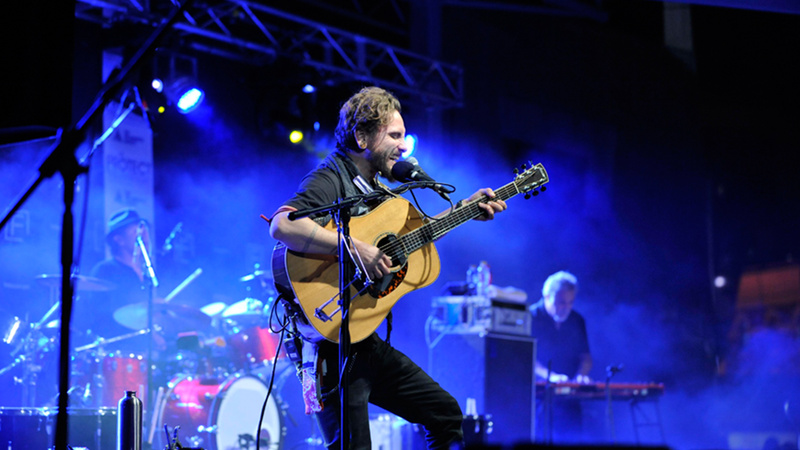 Our goal was to create something that would resonate with the Gen X & Y audience. 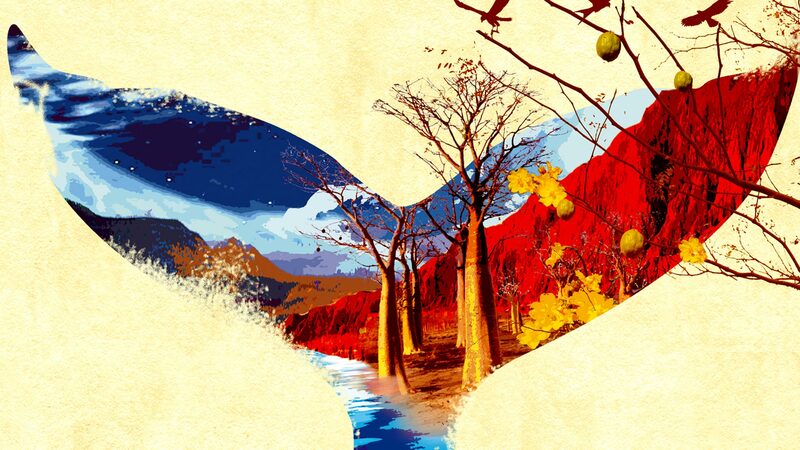 We like to think of this whale tail as being the bat-signal for the environmentally aware.